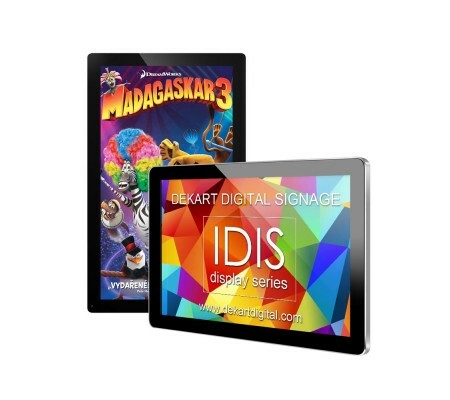 Professional 42" Dekart LCD IDIS IDIS-420 have integrated advertising media player. The model have big screen size and is suitable for use as an advertising screen in the elevator, as a digital display LCD display in supermarkets and clothing stores, as well as a great promotional display in hotels, bars and restaurants. 42 inch screen size allows to display advertisements and videos in high quality from afar. 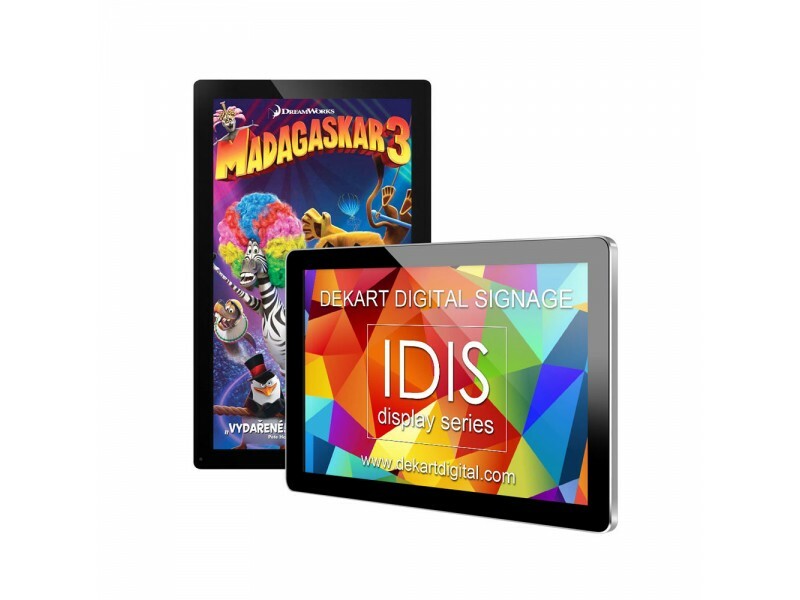 IDIS-420 Advertising display can be installed both horizontally and vertically. Active screen size of digital signage display is 42 inches with Full HD 1920x1080 pixels resolution. The size of the “electronic signs” allows you to install it in passable areas, for example, the columns in stores, in subways, in conference rooms with a large storage capacity, around tables, on reception for visitors in hotels or in the classroom. Thanks to the contrast ratio of 900:1 and brightness of 300 nits, electronic advertising display allows you to display information in a bright and juicy way. This effect is increased by built-in stereo speakers. IDIS-420 Digital signage display is equipped with an internal video player for advertising, and supports many popular file formats – GIF/JPG/PNG photo, AVI/MPG/MOV all sizes video up to Full HD, FLAC and MP3 audio. Remote management of advertising and scheduling is available optionally. “Digital Signage” option connects Commercial Display to the Internet via RJ45 Ethernet or wireless network. There is also touch-screen option that turns digital signage display into an interactive whiteboard. We produce Commercial Displays with screens from 10 to 90 inches and lots of features and options, please call or email us now to know the price and delivery time.